Average particulate matter readings in the Beijing area hit 473 milligrams per cubic meter last month, 19 times the level deemed healthy by the World Health Organization (WHO). Photo by Niccoló Mazzati/Flickr. As severe air pollution grips Beijing, China and the surrounding region, the sharp rise in harmful particulate matter has forced authorities to consider both immediate responses and long-term strategies to combat air pollution. The height of the smog epidemic hit in late February and lasted for seven days, covering 1.4 million square kilometers (540,000 square miles), just over 14% of China’s total land area. Southeastern China was the area hit the hardest. During this time, the average particulate matter (PM) reading was 473 micrograms per cubic meter (288 micrograms per cubic inch), or 19 times the level deemed healthy by the World Health Organization (WHO). The recent lack of wind was cited as a contributing factor towards the concentration of particulate matter, but the source of the problem is ultimately human. Emissions levels are largely the result of the intensive and sustained use of motor vehicles, accounting for 22.2% of the fine particulate matter (PM2.5) in the city. By comparison, other leading emissions sources included coal combustion (17%), dusts (16%), and industrial sources (16%). The smog outbreak and related health impacts have prompted many Chinese cities – including some of the largest like Beijing, Shanghai, Tianjin, and Guangzhou – to plan for both immediate needs and long-term strategies to combat air pollution and protect public health. In the short-term, these cities have crafted emergency response plans to prevent additional pollutants being released into the air. Most have suspended construction, and some cities are banning half of registered vehicles from running (based on odd-even plate numbers), restricting the use of government vehicles, and even shutting down schools. In the long-term, many cities have also released five year Clean Air Action Plans in the hope of curbing the rise in air pollution within the next five years. These plans outline the path towards significantly reducing air pollution levels, and are less aggressive than emergency responses, relying instead on economic approaches and systemic changes. Beijing’s Clean Air Action Plan, for example, will promote public transport through capital investments, lower emissions standards for motor vehicles, and pursue congestion pricing policies. The barrier to the success of the long-term and short-term measures lies in cities’ abilities to implement their ambitious plans. For example, although the air pollution reached an unprecedented level this week, Beijing only set its four-tiered air pollution alert system to “orange” instead of “red,” which indicates the greatest severity and threat to public health. Cars were still permitted on the streets and children were not discouraged from being outside. Only barbecues, outdoor sports, and some factory activities were banned. This raises the question of how severe air pollution is perceived in the political arena compared to economic growth, and is a potential indicator of where government priorities currently lie. However, such heavy-handed short-term emergency measures may require more political determination than long-term, progressive measures. Indeed, the encouraging establishment of a low emission zone in Beijing speaks to the commitment to a far-reaching strategy for improving air quality. 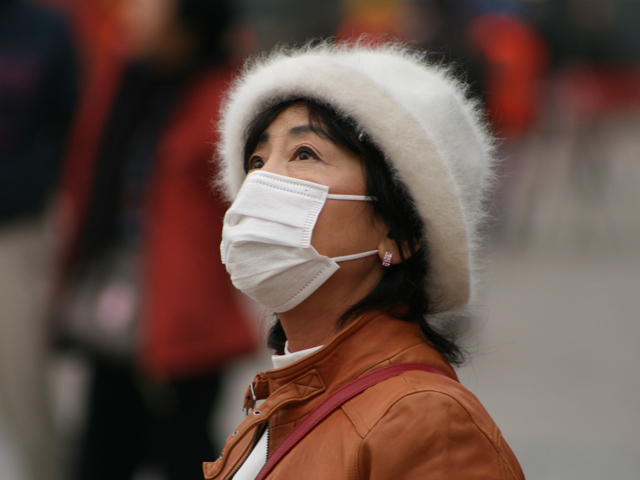 Still, in light of the shortcomings of emergency response in many cities, China’s long-term approach requires certain key elements: political incentive that recognizes economic growth and efforts to improve the environment as interrelated, not opposing, forces; public communication and education on the adverse effects of air pollution; and improved data collection and research to make well-informed choices when crafting policy to curb air pollution and emissions. This article was originally published by EMBARQ, the producer of TheCityFix.